As the summer dies down, my sun-kissed, glowing skin slowly disappears with it! I can’t say I’m happy about it but the weather can do a lot to your skin, and in the Fall mine becomes harder to keep from becoming irritated, dry and even oily. When this happens, my makeup application increases as my blemishes do. Does this happen to you too? That’s because makeup can dry and irritate your skin further. So we try to hide these imperfections, causing impurities to build up and get caught in your pores! Sounds like a vicious cycle of unhealthy skin, right? Agreed. Instead of hiding, I want to learn how to embrace my natural skin, like it’s summer every day. 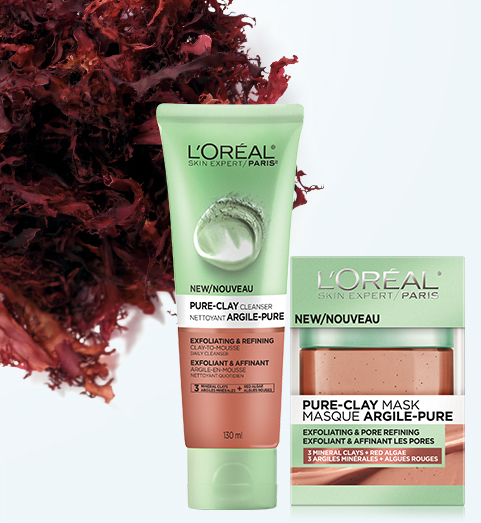 This is why I wanted to try to unmask my natural skin with L’Oreal’s new Pure-Clay Collection! 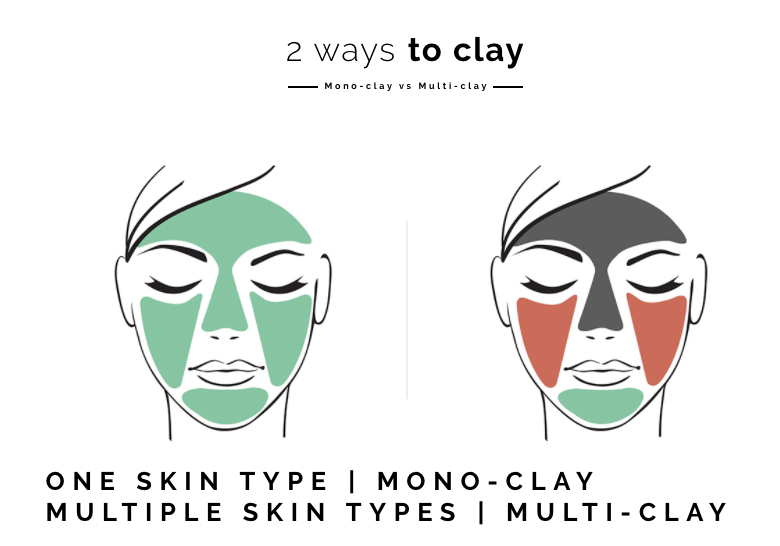 These products are all infused with 3 different clays: Kaolin, Montmorillonite and Moroccan as well as a special, super-ingredient specifically for your skin type. Keep in mind that this collection is still being added to, including several new masks as well as Pure-Clay Face Cleansers. 3 different masks to choose from or combine! The Eucalyptus mask is formulated with 3 mineral clays and eucalyptus to make skin look less shiny and help it to feel healthy and refreshed. The eucalyptus extract helps to cleanse oily skin so, this purifying and mattifying mask is perfect for your oily T-zone and forehead areas! The Red Algae Pure-Clay Mask is made up of 3 different mineral clays + red algae extract. It’s great for cleansing away built-up impurities, dirt and oil as well as exfoliating and refine your pores, making them appear smaller and less visible. This mask was the only one that has a gritty texture to it, which helps to smooth out rough skin. The Charcoal Pure-Clay Mask energizes and brightens dull skin made with 3 mineral clays + charcoal. The mask immediately makes skin look brighter with a healthy glow, leaving your skin feeling and looking smooth and energized. All of these masks can be used on their own or combined together. L’Oreal calls this Mono-Clay or Multi-Claying, which I think is genius. Depending completely on your skin type(s) you can choose to place whatever mask you feel works for your skin in whatever parts of your face you would like. More types of Pure-Clay Masks have being added to the collection as well, including a Seaweed based and a Yuzu Lemon based Pure-Clay mask. How exciting, so many to choose from! To start with my honest opinion of this product, I loved the sample packaging because it was informative, and gave visuals of 2 different ways I could incorporate all 3 pure-clay masks on my skin. The first visual being how they recommended you combine and wear these masks after a workout. So I went to the gym, washed my face and threw these masks on. Here is how they looked on my face. Both my boyfriend and the cat looked at me like I was absolutely nuts for the 10 minutes I had this mask on my face but it was worth it, I promise! Now, looking back I should have put more of the Pure-Clay Red Algae Mask on my cheeks. Since I have pretty large pores, I think it would have done more for my skin personally than the brightening mask did. The second time I tried this mask I made this change and found it worked much better for my skin. The versatility of these masks are my favourite part, you can use them on any part of your face depending on what results you are looking for. After 10 minutes, the Pure-Clay mask will begin to get tight and dry, as any regular clay mask. I used warm water to slowly break down the mask off and cleanse my skin. My skin felt so smooth and refreshed, I want to do this every day after every workout! I immediately felt a lift of energy, and my skin felt cool and refreshed to the touch. Days after, my skin still feels and looks great. I do wear a decent amount of makeup on the daily so my pores tend to get clogged easily and these masks felt like they drew out all of those impurities in my skin and got rid of them for good. Overall, I was thoroughly impressed with these Pure-Clay masks, especially for the price $11.99-$16. They seem to be decent quality, with soothing ingredients that benefit your skin in more ways than one. 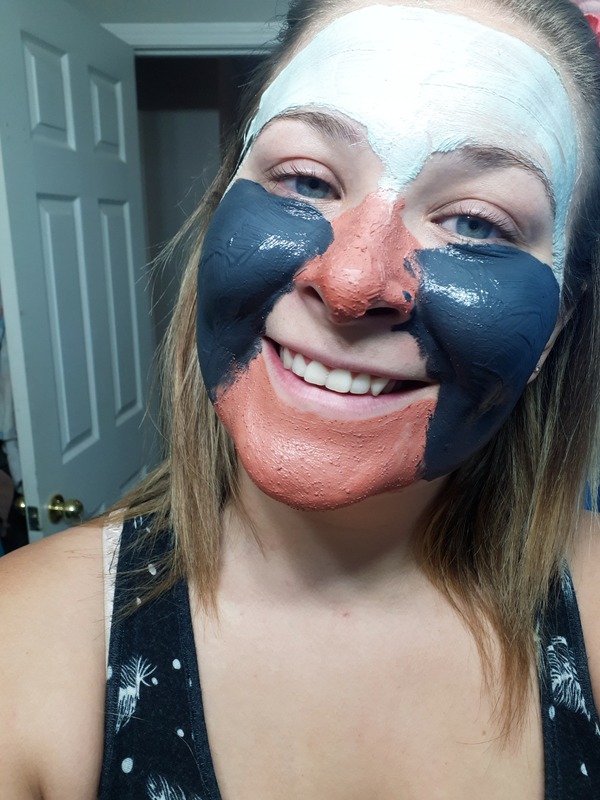 Give it a try, these Pure-Clay Masks can be bought at most Shoppers Drug Marts and Walmarts. 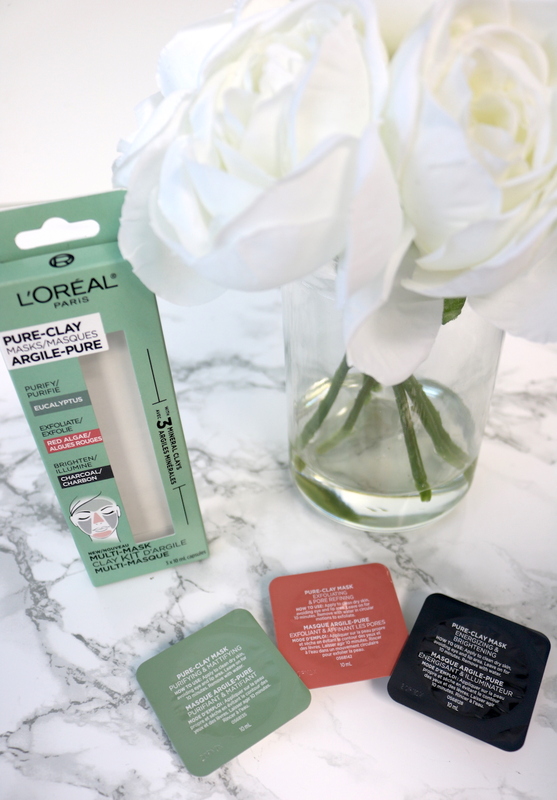 If these Pure-Clay Masks impressed you or you’d love to try something similar, check out L’Oreal’s New Pure-Clay Cleansers I recently bought the Red Algae Pure-Clay Mousse Cleanser after reviewing these masks and love it!